We encountered this nest during a shopping excursion. 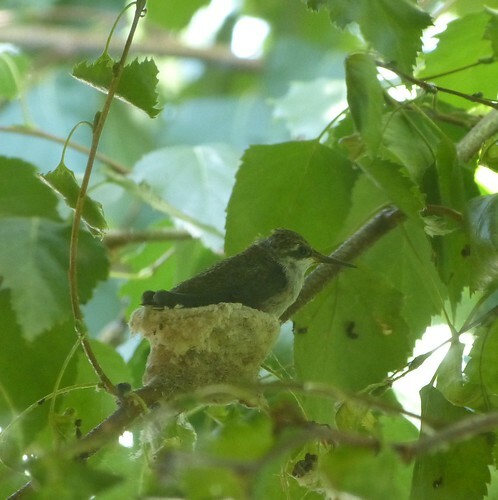 We aren't sure if the two "bumps" in the back are wings or baby hummingbirds. We did see but not photograph the babies when the parent was away.